There are lots of things you get to do on your wedding day that you wouldn’t do otherwise and wearing a tiara is one of them. Once you get that sparkling tiara fastened into your wedding hairstyle you’ll really feel like a princess! Here are some tips on wearing a wedding tiara. If you are getting your hair done professionally your stylist should be able to position the tiara in exactly the right place for you. It should be placed at the crown of the head, or further back, not on top of the forehead. Your veil doesn’t have to be fixed to your tiara; it can be worn at the back of your head by using a back piece if you don’t wish for it to cover your face. If you are going with a veil over your face, it can be attached to the tiara utilising fabric hook and loop closures so that your veil can be taken off without removing your tiara and ruining your hairstyle. 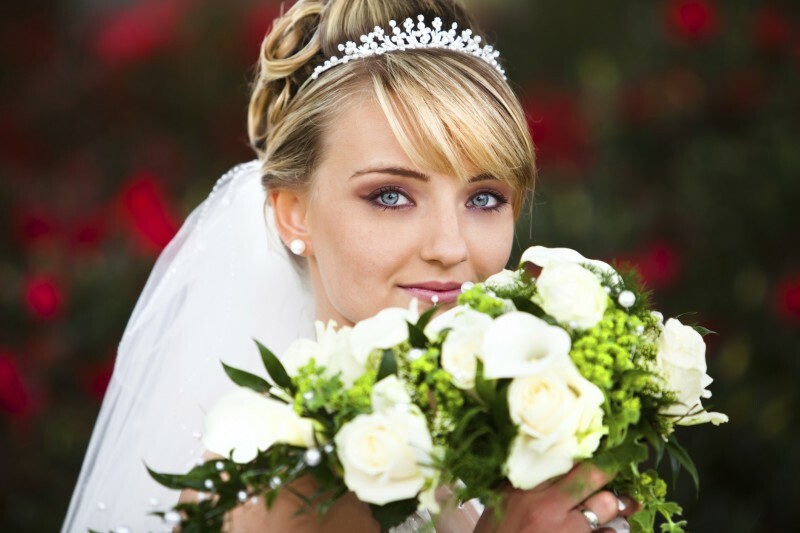 Your tiara should enhance your hairstyle and your wedding dress, not overshadow it. If you are a smaller person, find a simple narrow tiara to avoid looking top heavy. Don’t be tempted to go for an extremely large tiara even if you like the look. If you are going with crystal tiaras, which are currently very fashionable, they can be found in a wide variety of colours and you are guaranteed to find something that pair wells or complements your wedding accent colour. Don’t be scared to use colour in your tiara – it could be your something blue. Ensuring your tiara is secure will stop you worrying that it is going to fall off and fidgeting with it throughout the day. The majority of tiaras have two loops at the ends of the semi-circle which makes it easier for you to secure the tiara to your head. Pick something comfortable and lightweight and you won’t even notice it is there. The headband tiara is a simple look that sits flat to the head, but can include one detailed element like a crystal flower or ornament to one side. 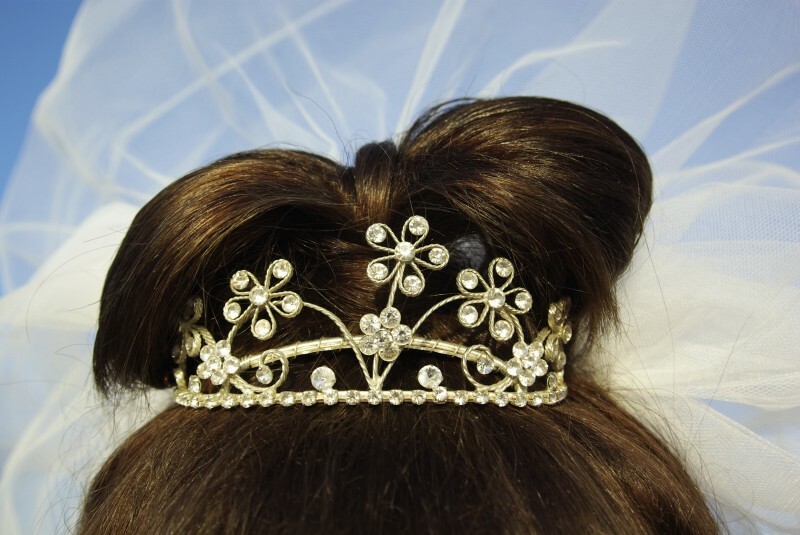 The bun wrap tiara is worn further back on the head than other tiara styles, and is flexible to fit neatly around a high bun. The wreath tiara is a romantic look and matches well with a tousled up do. It is an asymmetrical tiara created to look like a simple bloom wreath, or a vine with crystal flowers and silver leaves. The wishbone tiara goes well with an up do or loose hair and can be decorated with crystals or pearls. It is a glamorous vintage look which curves easily around the head and rises to a spot above the crown of the head. The double band tiara is a very popular option including two simple and distinct semi-circular bands, often embellished with crystals along their length. The regal tiara is formal look with more height, but a number of modern brides feel that these are a little fussy or over the top.